This book is perhaps one of the most misunderstood works of Catholic theology of our time. 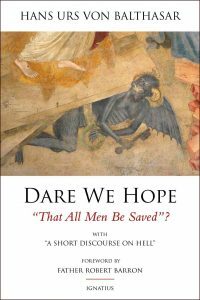 Critics contend that von Balthasar espouses universalism, the idea that all men will certainly be saved. Yet, as von Balthasar insists, damnation is a real possibility—for others but also for ourselves. Indeed, he explores the nature of damnation with sobering clarity. At the same time, he contends that a deep understanding of God’s merciful love and human freedom, and a careful reading of the Catholic tradition, point to the possibility—not the certainty—that, in the end, all men will accept the salvation Christ won for all. For this all-embracing salvation, von Balthasar says, we may dare hope, we must pray, and with God’s help we must work. 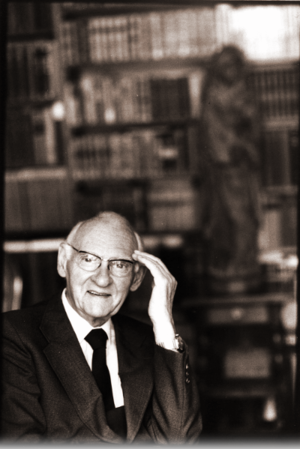 The Catholic Church’s teaching on Hell has been generally neglected by theologians, with the notable exception of von Balthasar. He grounds his reflections clearly in Sacred Scripture, and in Catholic teaching. While the Church asserts that certain individuals are in Heaven (“saints”), it never declares a specific individual to be in Hell. In fact, the Church hopes that in their final moments of life, even the greatest sinners would have repented of their terrible sins, and be saved. © 2014 Ignatius Press. Site development by Wineskin Media.